Sometimes we have all the details before we share. And sometimes we have barely any. This is the latter. We just caught some news of a new trisuit by Garneau that Lionel Sanders might be wearing. Garneau calls this their cooling trisuit. We still aren’t sure if this is a oneoff or something for the market. What we do know is that this suit was built to combat the challenges of warm weather races like Kona with better cooling and hydration. 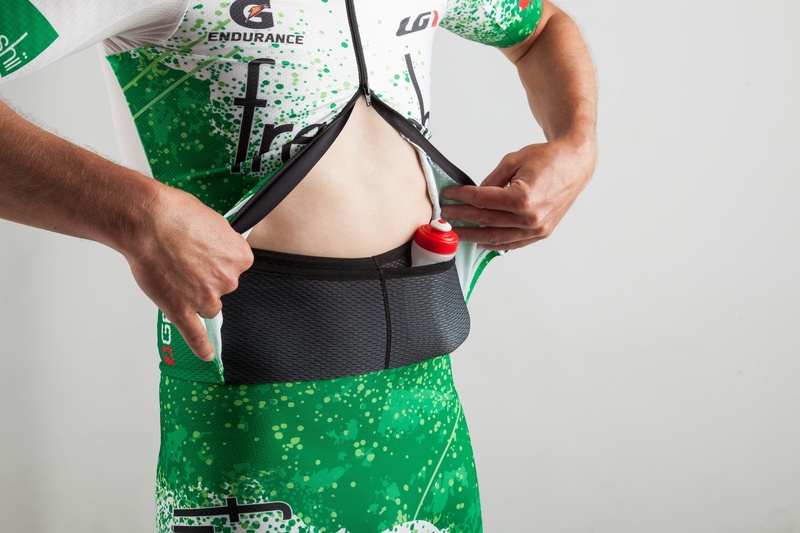 It’s made with the same materials as the LGneer TriSuit: LGneer bottom with three zones of compression and M2 top. For this one though, Garneau added a total of 6 mesh pockets throughout the suit to hold water bottles and wet sponges or ice against the body. Garneau says it’s the first full hydration and cooling tri suit on the market, and we think they are right. Wet sponges or ice go against the body to regulate internal temperatures. It’s a great little trick that triathletes have been doing for quite some time, there’s just never been a good place to put the ice and sponges until now. 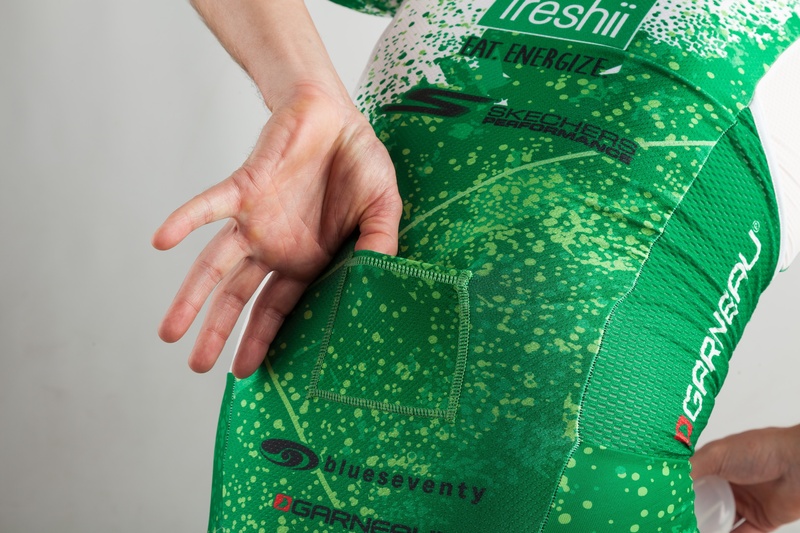 Garneau put two mesh pockets on the inside of the legs, and two huge pockets at the waist. There are also integrated water bottle pockets at the front that alleviate the need to wear a water belt. We also added a small pocket for a GPS tracker during the race. As soon as we have more details we will share them. Until then keep on eye on Lionel Sanders on Saturday to see if this is what he is rocking. And stay tuned to AeroGeeks.com for continued Kona coverage. If this becomes a released product it will almost certainly be my next tri suit. Heat is my Achilles heel.